I have a secret - I love dive bars. So when we are on a trip and I hear about a local dive bar that cranks out killer food, offers micro-brews, pours a stiff drink and has pinball, I have no choice but to check it out. Here’s what Terri and I found. The Highlander late night bar in midtown Atlanta has been filling bellies and slinging drinks since 1992. The crowd at The Highlander is mostly alternative lifestyle types and after all of the other bars have closed in ATL, this is where the bartenders, cooks and waitstaff apparently come to decompress. These games are in the back room by the pool tables. Both games are quarters only; $1 per game or 3 games for $2. The games have been well maintained and are a great deal of fun. Star Trek seems to have been set particularly generously for free games and matches. 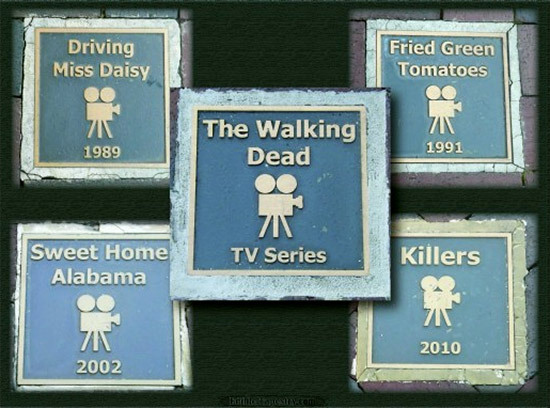 It may be of interest to you that AMC network’s popular TV series The Walking Dead was principally filmed in Atlanta and nearby Senoia, GA. We visited Senoia (a.k.a. ‘Woodbury’ in the TV series) on this trip. Supposedly there is a TWD pinball for sale in The Woodbury Shoppe also known as The Official Walking Dead Store located on Main Street in Senoia. We couldn’t confirm this because the store was closed when we visited. 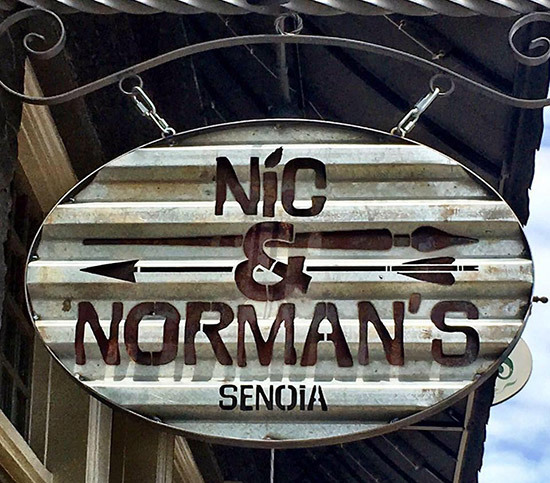 It would have been nice if Nic and Norman’s restaurant in Senoia, where we went for dinner, had a TWD game in the bar area. No such luck. I am at a loss for words to describe The Highlander's menu other than possibly say that it is 'Gastro Punk', if there is such a phrase. 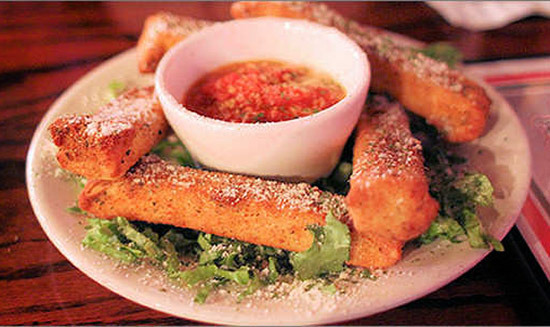 Take for example their Pasta-Rella which is a new twist on the bar favorite fried mozzarella sticks where the cheese is wrapped in pasta prior to deep- frying. 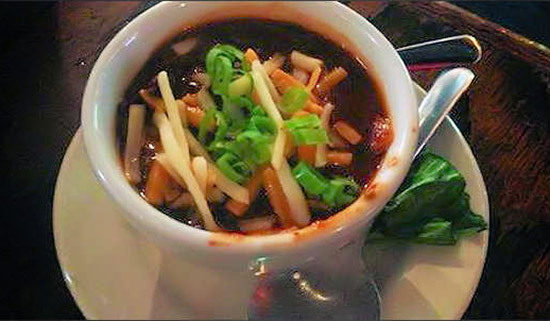 The Highlander's Jamaican Jerk Chili put them on the culinary map and also was featured on an episode in season 4 of the Food Network's Diners, Drive-Ins and Dives television show hosted by Guy Fieri. Since that show, The Highlander's head chef 'Ice' Jahumpa has crafted a very sat isfying white vegetarian chili with many of the same complex flavors but without the meat. 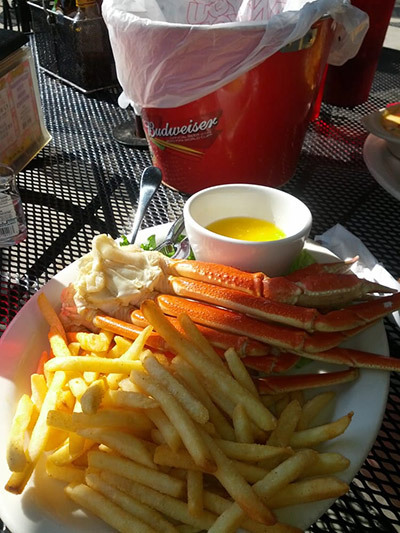 On Tuesday nights, The Highlander offers 'All You Can Eat' crab legs served from 11am to 9pm. Wednesday 'The Devil's In The Kitchen' and all burgers are $6.66. Thursdays feature $5 pitchers of PBR and three styles of tacos for $2.95 a piece. Friday’s special is Nashville Hot fried chicken with home-style macaroni and cheese. Weekends are the time for local metal and punk bands to take the stage at The Highlander (hearing protection suggested). On any night you can order a pitcher of their award winning tater tots. The Highlander's 'Tots All The Way' were recently voted best in ATL by the Atlanta Thrillist. 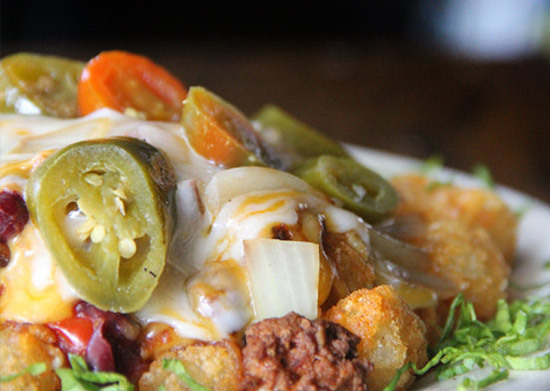 They are smothered with so much goodness that it would make any plate of nachos jealous. The Highlander proudly offers beer from local breweries such as Three Taverns, Eventide Brewing, 5 Seasons, and so on . Beer not your thing? Shots of Maker’s Mark or Jack Daniel's are also available. The Highlander supports local artists, proudly displaying and selling their work featured on the walls. As you might expect from a hard rock bar, the so called decoration (read: graffiti) in the rest rooms is creative, but on top of that the main entrance is literally opaque with stickers from local bands and record companies. Because of this first timers who might be disoriented are advised to look for the stickers to find the entrance. 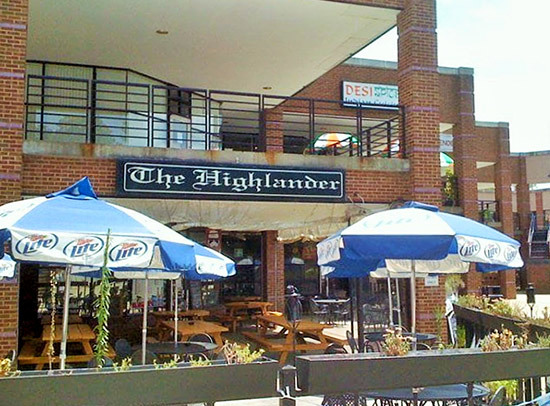 Fortunately (or unfortunately), The Highlander is one of the few bars in the Atlanta area that allow smoking inside. Be aware that the inside area of the bar is absolutely saturated with the smell of tobacco smoke. If you are at all sensitive to the smell of smoke, this is not a place for you. I found The Highlander to be an engaging and fun dive bar with an over-achieving menu, a great selection of drinks and fun to play pinball games. The Highlander is located in an interesting neighborhood with quite a few small shops and places such as The Atlanta Cupcake Factory to explore when you visit. I understand that dive bars may not be everyone's 'thing' but a visit to The Highlander in mid-town Atlanta might just make this dive bar a favorite.